Once praised as the most beautiful city on Earth by the Italian explorer Marco Polo, Hangzhou has long been ranked as a popular tourist resort. 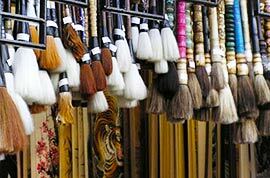 In addition to fully enjoying the beauty of West Lake, our private Hangzhou tours and group day tours also enable you to learn about the traditional culture and appreciate the fine art at Six Harmonies Pagoda, Lingyin Temple and Meijiawu Tea Village... Spending time in nearby Wuzhen or Nanxun Water Town may leave you with an unforgettable memory as well. 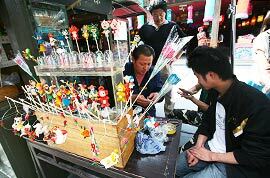 Hangzhou, a charming city in southeast China, is easy to reach by air or by high-speed trains. It has good access to major cities such as Beijing, Xian, Guilin, Chengdu, Shanghai, Kunming, Guangzhou and Hong Kong. 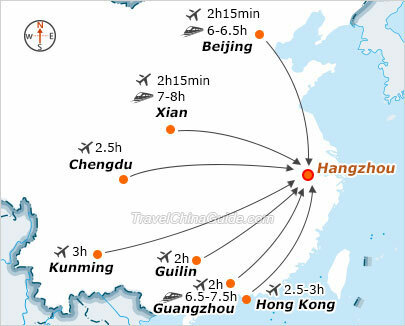 Hangzhou Airport also operates regular international flights to and from some cities in East Asia, Southeast Asia, Europe and the United States. 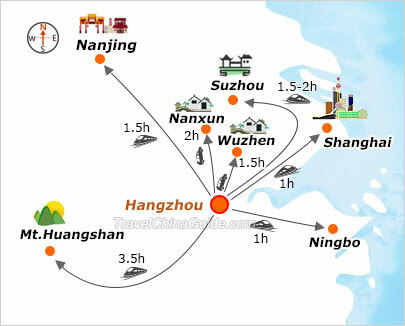 How to Plan a Hangzhou Tour? 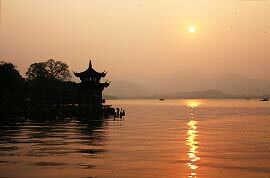 Generally speaking, 1 to 2 full days are enough to cover the best places of interest in Hangzhou city. If you get some extra time, you may also consider taking a side trip to one of the distinctive water towns nearby such as the pristine Nanxun and the popular Wuzhen. Besides, traveling to its neighboring cities such as Shanghai, Suzhou, Huangshan, Nanjing, or Shaoxing via convenient high-speed trains are worthwhile options for Hangzhou tour packages. 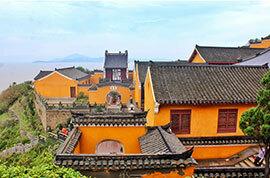 If you contact us, we will be pleased to offer you some good suggestions on top 10 Hangzhou tours. The climate in Hangzhou is warm and humid with four distinct seasons. The city is at its best from March to May, when the weather is usually gentle and lovely with beautiful flowers blossoming everywhere. 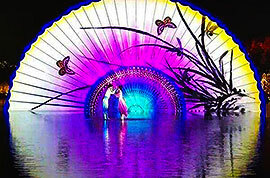 From September to October, the sightseeing spots appear as multi-hued painter's palettes, making another great time for a Hangzhou vacation package. Though it is a little bit cold in winter from December to February, you can enjoy your trip without interference from massive crowds. If your time is flexible, we suggest you avoid travelling during middle June to early July, as well as August due to the plum rain season and occasional typhoons. 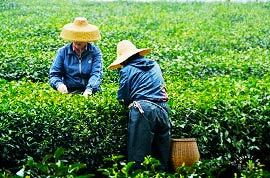 Hangzhou comes into its most beautiful season! Is visa-free transit available in Hangzhou and its nearby cities? Yes, passengers from 53 countries or regions have been able to apply for the 144-hour visa-free transit permit at Hangzhou Xiaoshan Airport since Jan 30th, 2016. 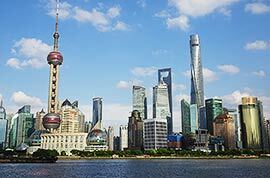 It allows travelers to stay as long as 144 hours to visit Shanghai as well as cities in Zhejiang and Jiangsu provinces without holding a visa. In addition to Hangzhou, other tourist-favored destinations such as Suzhou, Nanjing and Wuxi are all within the visa-free range for a 1-7 days Hangzhou Tour. 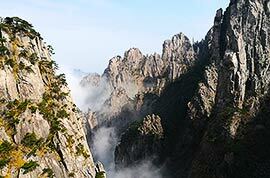 However, those who visit Huangshan in Anhui Province from Hangzhou still need to apply for a China visa. Hello. I will come from Shanghai and want to visit hangzhou. 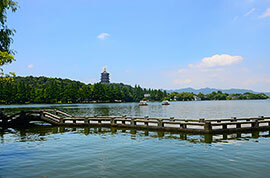 I want to go to west lake, six harmony pagoda, and Thousand Islets Lake. Any suggestions where I can stay these three days? Any cheap hotels near these three places?? And how to travel these three places?? Will be really grateful for suggestions. Thanks in advanced. You are advised to find a hotel nearby Ding'an Road Metro Station. It is convenient for you to visit those scenic areas. Hanting Express Hotel (Ding'an Road Branch) is recommended. The location is No.128, Ding'an Road, Shangcheng District. To West Lake: Just walk west around 400 meters. Then you can see the West Lake. 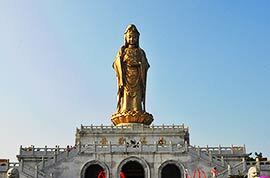 To Six Harmony Pagoda: Take bus no.314 from Yigongyuan Bus Stop to Liuheta Bus Stop. Then walk to the scenic area. 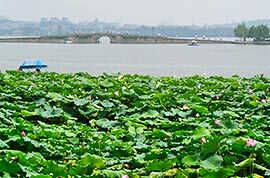 To Thousand Islets Lake: Take metro line 1 to East Railway Station first. Then take the bullet train to Qiandaohu Railway Station. Then take the direct shuttle bus to the scenic area. we plan to visit Hangzhaou on 3rd and 4th July. what kind of weather we can expect ? what kind of clothes we should carry ? what all places would you recommend to visit? In July, the weather of Hangzhou will be very hot with an average temperature of 33°C (91°F), so you can wear summer clothes such as T-shirts, skirt when travelling. As for the sightseeing, I recommend you visit the West Lake, Grand Canal, Six Harmonious Pagoda, Peak Flown From Afar and the Lingyin Temple, Qinghefang Ancient Street, etc. 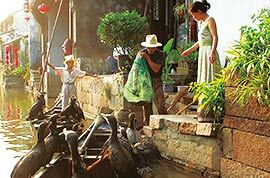 If you like ancient towns, you may spend one day visiting the Wuzhen Water Town or Xitang Water Town. We are travelling in this area early may and would like to know something about the weather at that time of year. Weather in May is warm in this area, sometimes even hot, so you can wear summer clothes. However, I do suggest you take a thin coat or a long-sleeve shirt as the temperature difference is big for the day and the night and also the temperatures drop when it rains. Hi everyone! Hope someone can help me, I will be in there for a few days, I would like to visit Lingshan Buda, is good idea to make one day tour from HZ? Is there speed train from HZ? 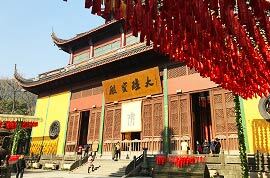 Or better to sleep in Wuxi and visit Lingsah Buda early in the morning. I will appreciate any advice, thanks in advance! 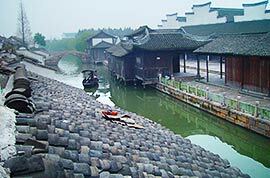 You are suggested to stay overnight in Wuxi and visit the place next morning. As I know, the high speed train from HZ East Railway Station takes about 2h to Wuxi. From the railway station, you can take the Bus Leyou Line 2 to your destination and it takes about 1.5h. how do take the fast train from Shanghai to Hangzhou on a Wednesday? I'm stay near Xintiandi & Dashijie. What time is the train schedule? Walk to Xintiandi subway station to take line 10 to Hongqiao Railway Station where many high speed trains are available for Hanzhou between 06:00 to 21:30.